In this Madagascar itinerary, you’ll learn some of its secrets, as the forests and beaches slowly reveal themselves. As safari destinations go, Tanzania is very hard to beat. Its national parks are a roll call of some of Africa’s top wildlife-viewing destinations. Experience the passion of Argentina’s tango, the sophistication of Buenos Aires café culture, the vast wilderness of Patagonia and Chile’s jagged peaks. Start to understand what makes Thailand tick by spending time amongst the elaborate Buddhist temples of Chiang Mai in mountainous northern Thailand. The western fringes of Europe are where the magic still lives, in ancient legends, language and songs sung in lilting Gaelic accents. 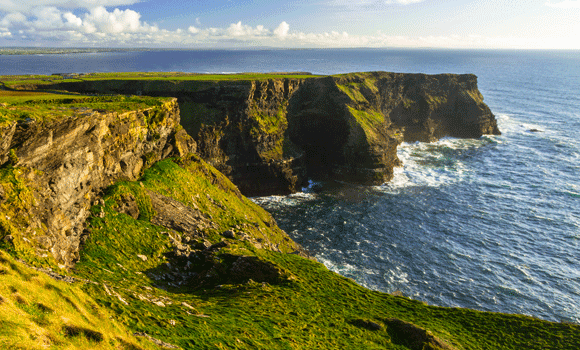 Walk in the footsteps of ghosts and giants, heroes and graverobbers, and keep an eye out for the elusive leprechaun.